Neil J. MacKinnon, Ph.D., M.S.Pharm., FCSHP, Dean of the James L. Winkle College of Pharmacy at the University of Cincinnati is named the 2017 ASHP-Association of Black Health-System Pharmacists (ABHP) Joint Leadership Award Recipient. Dr. MacKinnon uniquivocally demonstrates his committment to being a leader in the reduction of racial and ethnic disparities. He’s championed with promoting a more diverse healthcare workforce and environment at Winkle College of Pharmacy and spurred initiatives that increased awareness of health disparities among healthcare providers, administrators, legislators and the public. Since onboarding as Dean in 2013, a major focus of Dr. MacKinnon’s role at Winkle College of Pharmacy has been to promote a more culturally competent work environment. Under his tenure the percentage of non-caucasian faculty has increased by about 14%. Of note, his push for increased diversity among staff lead to the hiring of the first-ever African-American female and first-ever Latino/Hispanic female faculty members in the 166-year history of the college. 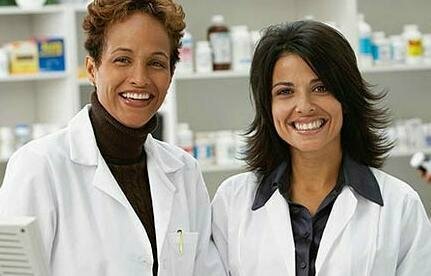 The student body at the college of pharmacy also experienced it’s most diverse season in the history of the instution by increasing the percentage of non-caucasian students to over 30% of the student population. Dean MacKinnon has a consistent history of promoting initiatives that align with the ASHP-ABHP Joint Leadership Award focus in the reduction of racial and ethnic disparities in healthcare. ABHP is honored to present this prestigious award to Dr. MacKinnon at the 2017 ASHP-ABHP Joint Leadership Awards Luncheon during ASHP Midyear 2017. See the official announcement from ASHP here. Find out more about the ASHP-ABHP Joint Leadership Award here.